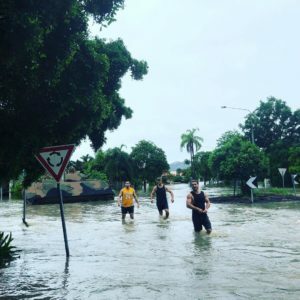 With Townsville receiving almost one metre of rainfall in just over a week, the Townsville and Districts Mendi Blackhawks have had to make adjustments to training, but nothing has dampened the spirit of the community. 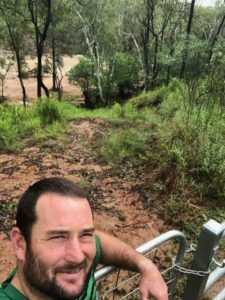 Coach of the Mendi Blackhawks Aaron Payne, who’s property in Alice River has been isolated since Thursday, has been coaching via phone with the help of his assistant coaches. 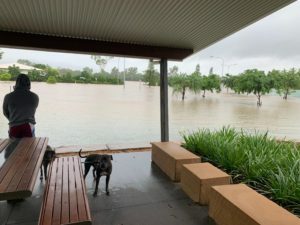 “I was born in Townsville and have never seen rain like this,” Payne said. 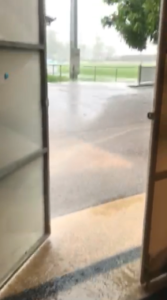 At Mendi Blackhawks headquarters, Strength and Conditioning Coach Jason Tassell said the club is fortunate to only receive minor flooding in the gym. 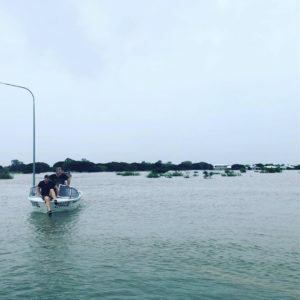 “Compared to what some people are going through, we have been lucky to only have some minor flooding in the gym,” Tassell said. 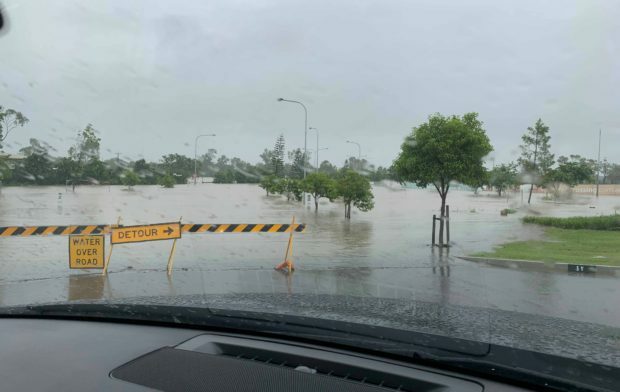 As the rain continues to fall in Townsville, a decision will be made later in the week in regards to the trials games set down for this Saturday. 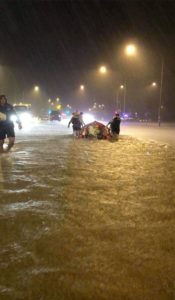 Jaelen Feeney and Kyle Laybutt help evacuate people in a life raft. Dan Beasley helping rescue victims of the devastating floods. 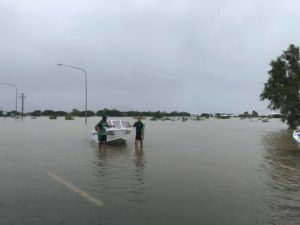 Kalifa FaiFai-Loa and Krys Freeman used Krys’ boat to help rescue people caught in the floods. U20’s Mendi Blackhawks Football Manager Brad Garner walks home through the streets of Guru. 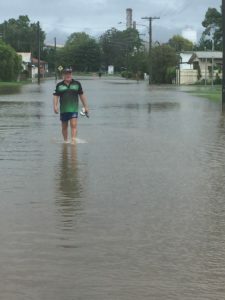 Brad has been flooded in for 5 days already and more rain expected. Coach of the Mend Blackhawks Aaron Payne has been isolated since Thursday. Aaron is pictured keeping an eye on the Black River located behind his property. 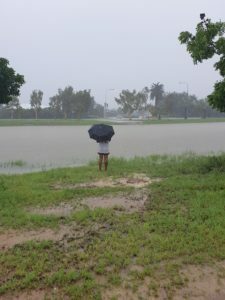 Kalifa FaiFai-Loa near flooded water at the end of his street, not far from where baby crocs were found. 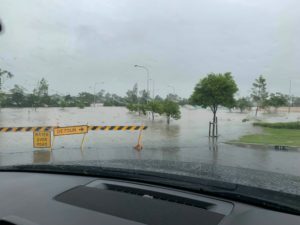 Flood waters at Harris Crossings not far from the home of Michael Parker-Walshe. The view from the flooded gym. Adam Cook, Sam Martin-Savage and Campbell Duffy still smiling after a wet training session. Jaelen Feeney became dog rescurer when he found these 2 gorgeous puppies muddy and lost in the rain. The owners were located a short time later.